The committee will submit its report within 90 days of holding its first meeting, the central bank said in a statement on Tuesday. 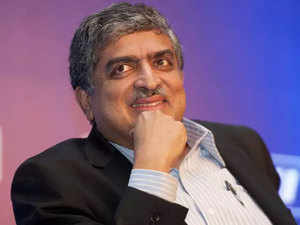 BENGALURU: The Reserve Bank of India has set up a committee headed by Nandan Nilekani, the architect of the Aadhaar database and former chairman of the Unique Identification Authority of India, to encourage digitisation of payments and enhance financial inclusion. The committee will assess current levels of digital payments in financial inclusion and suggest ways to accelerate the adoption of digital payments, strengthen the safety and security of payment methods and help increase customer confidence in digital transactions. The five-member High Level Committee for Deepening of Digital Payments includes former RBI deputy governor HR Khan, former Vijaya Bank CEO Kishor Sansi, former secretary of the Ministry of Information Technology and Steel Aruna Sharma, and Sanjay Jain, chief innovation officer at the Centre for Innovation, Incubation and Entrepreneurship, Ahmedabad. “This will give boost to adoption of PCI (Payment Card Industry) data security standards and will be a good guidance to freeze the future form factors of payments, for example, contactless payments,” said Nitin Bhatnagar, associated director for PCI Security Standards Council, India.